With the Christmas Advent Calendars being released to the world at the end of August I thought I would create my top 10 on what I have heard and think of them and share this with you today. Wow there are a lot out there and my opinion is my own. So Number 1 I have picked as my top is the L’Oreal Luxe 24 Day Advent Calendar. Straight away I love the bold bright fun colours of the box with the splashes of the pinks, golds and reds. It just adds the excitement of Christmas to it for me. Its also girly and fun looking. They have teamed up with Selfridges to create and bring us this box. It includes a variety of their brands such as Urban Decay, Lancome, and YSL. So you will get a wide range of brands and products. This Advent is £130 and is available from 26th September. I would say this is pricey for an advent but considering all the brands that it includes and their usual pricing for products its not that bad. For Number 2 I have picked the Charlotte Tilbury Beauty Universe. The packaging is really girly and cute. Its dark purple and gold. The gold glitter is what I feel adds the Christmas touch to this box. This Advent includes deluxe and full size products which is a plus considering most include minis or sample sizes. You would hopefully expect full sizes for the price. This advent is £150 and is available from 4th October. For Number 3 I have picked the bareMinerals Out Of This World Advent Calendar. The rose gold and navy blue sold me straight away. Hello 2 of my favourite colours and excites me to see what is inside. The plain solid navy with the rose gold stars and writing is so in right now. I know a lot of brands using these colours for their ranges in various things. Their advents will include a variety of their range including their loose eyeshadows, lipglosses and sticks. You will also receive a deluxe sample of the nourishing skinlongevity. Just looking at the picture and reading about the advents. The shades of the eyeshadows are so pretty. I love experimenting with looks and want to do more in the future. This advent would definitely allow me to do so. At £79 I would say this is a great Advent to get and isn’t too bad for what is in it. This advent is available from 24th September. So for Number 4 I have picked the Rituals’ Advent Calendars. I am very new to Rituals’ products, but the ones I have tried have definitely got me wanting to try some more! These would definitely give me the chance to try more. I also love that they have two options so you can pick the one in your price range and if you want that little bit more or not. Gives the chance for anyone to get one of their advents. Which I think is a lovely touch because I know a lot of people who would love one of these advents but that maybe couldn’t afford crazy prices. So they have the 2d version or the 3d version. Both are Christmas tree shapes, the 2d in red and gold and the 3d looks like a proper Christmas tree with baubles. Both of their advents include a variety of their range and four mini candles. Based on looks alone the 3d one excites me more, but from what I have learnt and discovered from what I have read on all the advents out there for 2018 the 2d one is definitely a better price and you are still going to get similar products to the 3d one and at a cheaper price. The 2d advent is £59.50 and the 3d advent is £89 and both are on sale now. For Number 5 I have picked Soap and Glory It’s In The Calendar 2018.
Who doesn’t love Soap and Glory? Its something you can buy any girl and they will be happy with it! The packaging is very traditional for Soap and Glory with the pink background and they vintage style lady on the front. 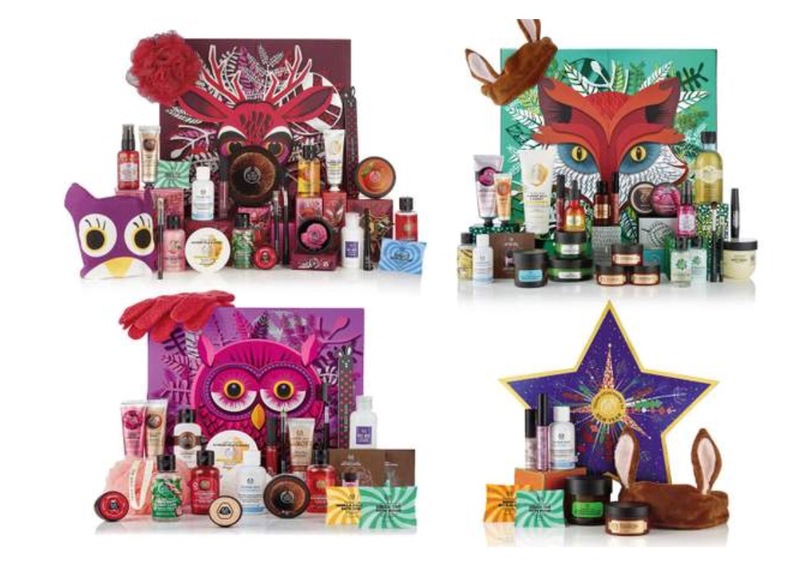 Their advent will include their most popular products from their skincare and make up ranges. I would also say this is a good box for any age, teen to Grandma. This Advent is £40 and is available from 17th September. Number 6 on my list is the Jo Malone London Advent Calendar. I love how simple and classic the packaging is. The plain cream box with the black ribbon and gold numbers. Its classy and elegant. Jo Malone as a brand itself is an expensive one so this is a high end Advent Calendar. Is it worth the money? This will include some of their favourite products to their new designs especially here for Christmas. This advent is £300 and is available from the 1st of November. For Number 7 I have picked the Glossybox Advent Calendar. This is their first year creating and selling an advent calendar, and If you didn’t know glossybox is a monthly beauty subscription. The packaging is cute with the white and rose gold. Its going to have a variety of products and brands for all the beauty lovers, I would also say this would be good for someone starting out using make up and trying the different brands. It will include a variety of beauty, skincare, haircare and beauty tools for us to try. It will include brands such as Huda Beauty, bareMinerals and Nars. For £75 I would say this a good box with a good variety of brands. Its is available to buy from the 15th of October or you can pre order now. So for Number 8 I have picked the Cath Kidston Beauty Advent Calendar. I love the style of Cath Kidston products and they definitely haven’t failed with this Advent. It looks like a cute old fashioned dolls house all decorated for Christmas. It definitely has the vintage feel to it and is adorable looking. This advent is all about smellies. It includes their brands signature scents as well as their Christmas edition fragrances. I think this would suit a more mature lady though I do love their hand creams and scents of some of their products. But I could see my Mum or Auntie using their products more than me. This advent is £40 and is available from the 17th of September. For Number 9 I have picked The Body Shop Advent Calendars. At first I was really excited that they have created 4 advents, so they have catered for all. But reading more into this I now believe there is only actually 3 with the Vegan advent is the lead up between Christmas and New Year. So now I feel sorry for all the Vegan’s out there who actually have to wait till Christmas to open their advent. All the advents are animal themed and super cute packaging with the animal face in the middle of the box with the splash of colour around them. They seem to look like they will have lots of goodies for all to try. They will all include minis and full size products. And Vegan is £40 and available from 31st October 2018. Then finally for Number 10 I have picked the Clinique Advent. Now for those who follow me or know me personally know Clinique is my favourite brand. But after comparing it with the ones above and more I am slightly disappointed with this advent. I like the purple and white box, with the baubles all in bright fun colours across the box. I find that very different to all the other advents I have seen. The advent will cover a wide range of all their products which is good as they are always bringing out new products. But by looking at the pictures I have a feeling these are all going to be minis. Its a plus side to try new products and brands but for the money I feel it should have more to it. I know Clinique is an expensive beauty brand. This advent is £76 and is available from the 14th of September. 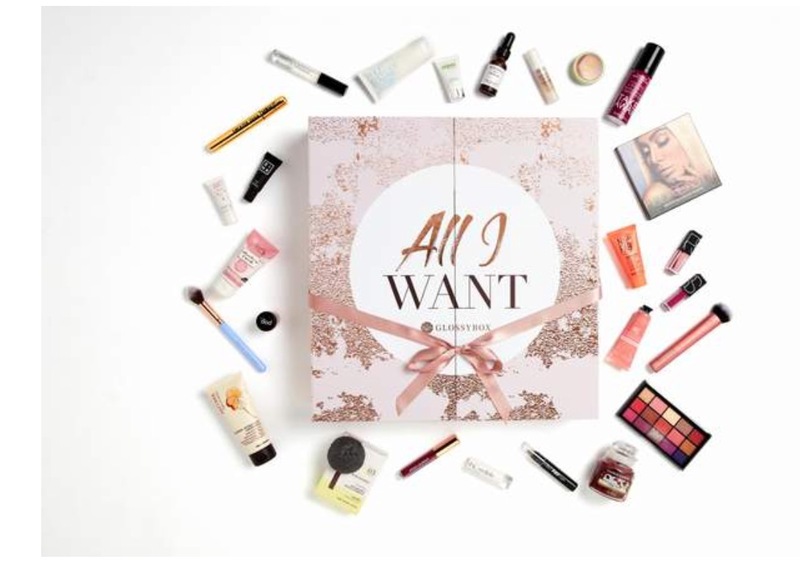 If you were or are going to have a beauty advent calendar this year which one are you going to pick? Based on price and which ones I feel in love with I think the bareMinerals one is my favourite to buy, but I am making my own advent so maybe I could fill that with beauty products instead. HI MELANIE! GREAT TO SEE YOU! YOU ARE DOING AN AMAZING JOB WITH YOUR BLOG! I adore advent calendars. Thank you for sharing. I’m right there with you! 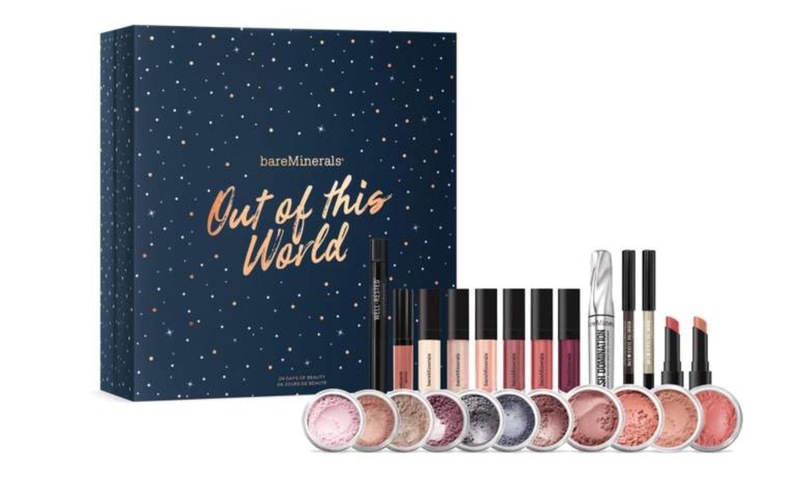 The bareMinerals one looks like a dream and I absolutely adore the packaging. I need all of these, right? Saving for payday! 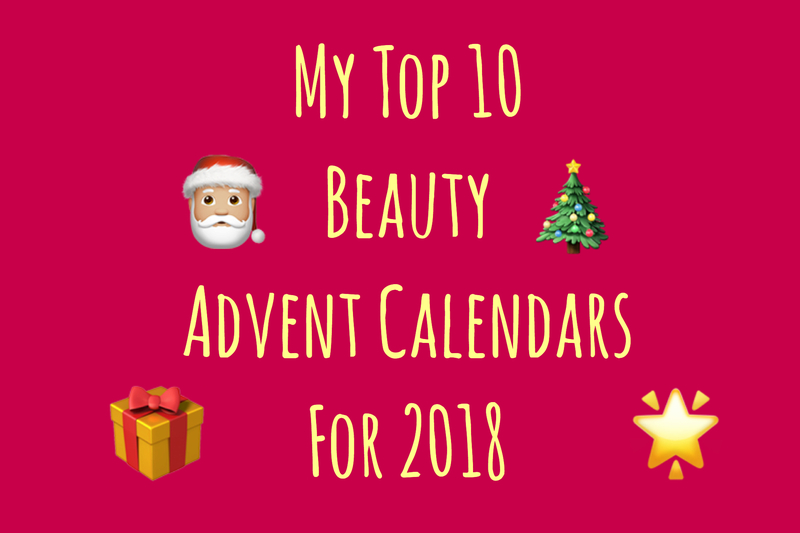 Advent calender’s with beauty products? Count me in! Love this!! i love this as always get me and my mum one for xmas! Thank you. Which one would you choose? I’m loving the Jo Malone calendar! So cute! Thank you. Its expensive but does look really nice. Beauty advent calendars always looks so fun and they’re full of tons of surprises. I really like the Charlotte Tilbury one — I’d love to give that one a go. Thank you. I love the design and colours of the Charlotte Tilbury one too. I didn’t even know these existed! How freaking cool 😍😍 LOVE!! OMG, I had no idea beauty advents existed! I’ve only done advents for my son but perhaps it’s time I got one for me! Thank you. Yes it definitely is. Which one would you choose? This might sound funny, but I didn’t even know these beauty versions existed! Thanks for the introduction – definitely a fun twist. Good ?V I should certainly pronounce, impressed with your web site. I had no trouble navigating through all tabs and related information ended up being truly easy to do to access. I recently found what I hoped for before you know it in the least. Reasonably unusual. Is likely to appreciate it for those who add forums or something, web site theme . a tones way for your client to communicate. Nice task..